Do you seem to be putting weight on even though you eat right, exercise regularly? 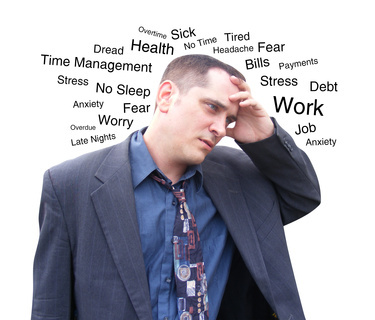 Stress may just be the stumbling block in the way. I’m not saying all is lost and start stuffing your face with junk food and lounging around all day. Still exercising regularly and being focused on what fuel you give your body is of paramount importance. However, if you are ramping up your cortisol levels on a regular basis, it’s going to detrimentally affect your prospective goals. When we become stressed, no matter how small and insignificant the problem, we have the same response as being chased down and hunted by a tiger. Getting that release of hormones is a perfectly natural state for us as humans, it is our survival mechanism, and without it we would not have survived for millions of years and evolved into a super smart race that we are today. This is what we commonly know as our ‘fight or flight’ response. Eat or be eaten, or sat in a traffic jam and late for your meeting, same thing! Well, it’s the same thing as far as our body is concerned. When we get stressed, our adrenal glands release hormones that affect our blood pressure, heart rate, and cause us to sweat. These glands are located just above the kidneys and are roughly the size of your thumb. The hormones released are called epinephrine and norepinephrine, adrenaline to me and you. So, if it’s a natural survival mechanism, that’s good right? To an extent, yes, it can be the difference between life and death because the adrenaline release temporarily heightens your senses in order to survive whatever danger is lurking. Unfortunately in a modern society we tap into this mechanism too frequently. We are very rarely in a dangerous life threatening position, but we make our adrenal glands think we are. A hormone called cortisol is a major player here in our downfall, not only to weight loss/maintenance, but also with other health aspects too. It is another hormone released under stress. If we have a constant stream of cortisol release, it has a detrimental affect on bodily functions such as digestion and our immunity to getting ill. You may notice when you are at high levels of stress for a lengthy period, your body can’t cope and you get sick. Now, if your body thinks it is in survival mode, do you think your fat burning capabilities increase or decrease? Your body is wanting to hold on to everything, including stored fat. Get stressed often enough, have a constant secretion of cortisol, fat is kept for survival. Simple as that. In fact, to add insult to injury, insulin is also released on the back of the the amount of cortisol, so you are now going to breakdown lean mass for glucose to give instant energy to flea danger, and guess what happens when you are not using that energy to run, it gets shunted into fat cells. So if you feel yourself getting stressed, try and remove yourself from it as quickly as possible. It is literally making you fat!